Welcome to your one stop shop to grow, reclaim and indulge in food, health, wellness, and community wholeness. 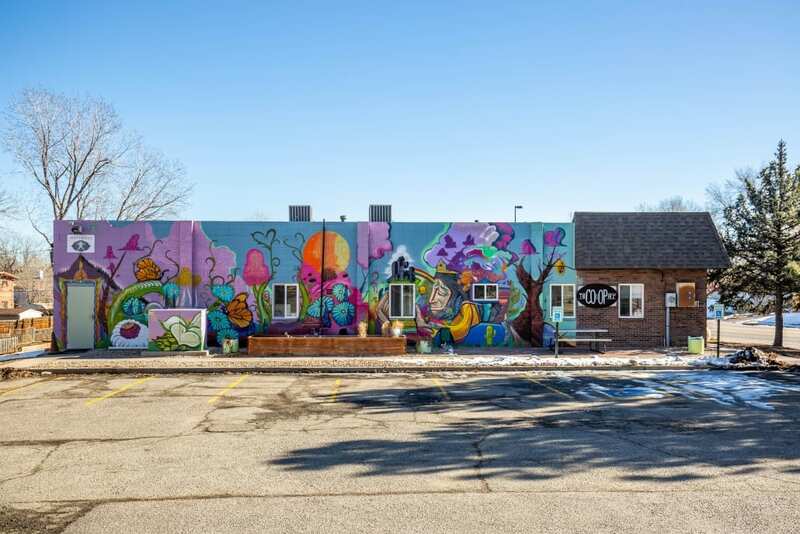 The Co-op at 1st offers a shared community spaces to empower the Barnum Community with economic opportunity and increase access to healthy food, holistic wellness, and physical activity . We offer affordable event spaces, offices for rent, year round farmers market, movement studio, coffee shop and a commissary kitchen. We have a wide array of services and classes in nutrition, cooking, massage, gardening, yoga, zumba, commissary kitchen and food truck training, herbal medicine and so much more. The building was built in 1979 by Rose Gates. Rose was an advocate for under-served families in Colorado- always offering up her home, a free meal, and clothing. Her passion was shared by the local 7th Day Adventists which later used her building to run services for homeless and under-served families. Under the name ACS Community Lift, the building hosted a food bank, free medical care, and thrift store until 2016, when they closed there doors due to lack of funding. In 2017, with the support of the community, CHFA, and long term ACS Lift volunteers, Jovial Concepts was able to purchase the building. Renamed as The Co-op at 1st our mission is to continue to make health and wellness accessible to the Barnum Neighborhood. Our Co-op houses Community Gardens, Movement Studio, Commercial Kitchen, Coffee Shop, Year Round Farmers Market, Massage, and more. We offer a safe space to sign up for SNAP, WIC, and Medicaid. We offer resume training, college application support, and workforce development. There are many free and low cost services offered at the Co-op exploring nutrition, cooking, meditation, mediation, and more.